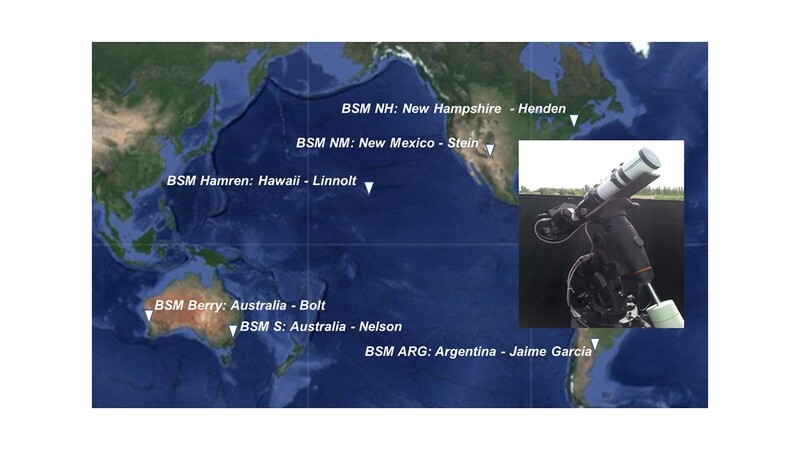 The AAVSO operates a global network of five, small robotically controlled, CCD equipped, telescopes. These scopes support a full complement of filters and are capable of precision photometry in the range of 3 to 13 magnitudes in the V filter. The network has been in operation for several years performing several major photometric surveys. Recently a decision has been made to promote an increase member use of the network. All members, including the visual observer, are welcome to participate in an initial roll-out of this program this fall without going through the normal proposal approval process. There is no cost to participate for members. We are looking for an intial group of six. Each participant can provide their own targets of interest. Mentors are available to assist the observer in plan preparation, image analysis using the AAVSO VPHOT analysis software and in the data submittal. Please respond to this post if you have an interest in participating and I will answer questions and fill in additional details.